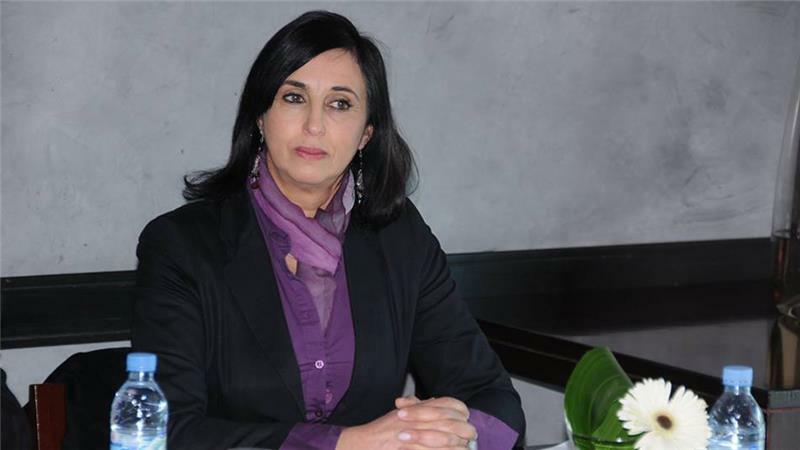 Rabat - Nabila Mounib, 55, is the first woman to lead a major political party in Morocco. In January 2012, she was elected secretary-general of the Unified Socialist Party, a secular and socialist party created in 2005. A lifetime political activist and advocate for women's rights, Mounib also teaches biology and endocrinology at University of Hassan II in Casablanca. When protests demanding change broke out in Morocco in 2011, Mounib was among the people who demonstrated to ask for a parliamentary monarchy. During the 2011 constitutional referendum that followed, she called for the boycott of the vote because she believed the constitution did not offer enough separation of powers. Over the years, she has remained a vocal critic of the Moroccan regime. Mounib recently received much media attention when some questioned her legitimacy to lead a delegation to Sweden to negotiate a diplomatic rift between Sweden and Morocco over the Western Sahara. In Morocco's recent provincial elections, the first time Mounib ran, she did not win in her district but her coalition made gains. Al Jazeera spoke with Mounib about her career and the challenges of being Morocco's first female political party leader. Al Jazeera: As a woman, what hurdles stood in the way of you becoming a politician in Morocco? Nabila Mounib: I did not become the head of the Unified Socialist Party overnight. I had been involved in politics since I was a student, and I have been running campaigns for decades. When I attended the university to study science, I was elected to the student council. Throughout my career, I was a member of different committees and organisations, and I was a union representative for many years in Casablanca. In the 2000s, I was a coordinator of foreign affairs for my party, which is what gave me experience in understanding conflicts. Al Jazeera: How would you describe the level of women's influence inside the party? Mounib: I belong to a leftist party, which has always been avant-garde in defending women's rights in Morocco. The party has always defended these rights fiercely, every time there was an opportunity, and has participated in all the struggles to advance them. In 2003, we worked hard to get one million signatures to change the family code [regulating all matters pertaining to family life, such as marriage and divorce]. The party has always advocated to integrate women in the country's development. I inherited this legacy and the natural outcome of this journey was to elect a woman to lead the party. Al Jazeera: How would you assess the role of female activists in the political landscape in Morocco, and what obstacles stand in the way of having more women represented in politics in Morocco? Mounib: Women's participation in politics in Morocco is unfortunately very low, and it's a very regrettable fact. It is due to a number of factors: one is that we are not a democratic country. There isn't a full sense of citizenship yet. Women suffer, and not only from poverty, but also from what comes with living in a patriarchal and sexist society. Women have to do 10 things at the same time, which doesn't leave much time for getting involved in politics. Politics is also a rotten game, which doesn't make it attractive to women and youth. There is also a huge deficit in education... The media are also responsible because they perpetuate mediocrity. That is why we need a democratic system, where institutions can be held accountable by the people. Al Jazeera: As a member of the February 20 movement, can you talk about how the movement came about, and what has become of it now? Mounib: The February 20 movement started in Morocco at the same time as the revolutions that swept the Arab world. Young Moroccans showed that they had political consciousness. At the Unified Socialist Party, we agreed with the 20 points they demanded, which included asking for a parliamentary monarchy and for the release of political prisoners. Unfortunately, other leftist parties did not support the movement and aligned themselves with the system in place. Today, thanks to the February 20 movement, discussion around the constitution has been reopened, although it is not the constitution that we had been waiting for. It is really thanks to them and to nobody else. Today, after four years, the movement has weakened - I hope only to return in another form. These young people want what is best for their country... There are demonstrations every day in Morocco. People are demanding the implementation of rule of law and for their country to have a credible state. There are really interesting things in the works. Al Jazeera: What are the most important sociopolitical issues that Morocco needs to tackle? Mounib: The short-term plan is to make the left stronger. Something interesting happened at the last communal elections: big personalities who led regional councils were voted out of office. We are observing a rise of consciousness. People are starting to realise that an alternative project is possible. Our party allied itself with other groups with similar political leanings, and we worked very hard at rallying behind us people who believed in the same global democratic project. We constituted the Federation of the Democratic Left and worked hard to reassure people that their vote could make a difference. Our project is not limited to forming the federation. We want to offer something else to Moroccans. We are advocating for a democratic transition of our political system that will lead to implementing a parliamentary monarchy with a real separation of powers. Our focus will be to push for a system where people's rights are respected. We are also pushing for the release of political prisoners and for gender equality.